Today we’re highlighting part two of our recap of Dr. Lori Desautels’ tutor workshop, Learning and the Brain: How Trauma Impacts the Brain and Attention. The first blog in this series covered 5 facts we learned about the effects of stress on the brain – make sure to check it out! 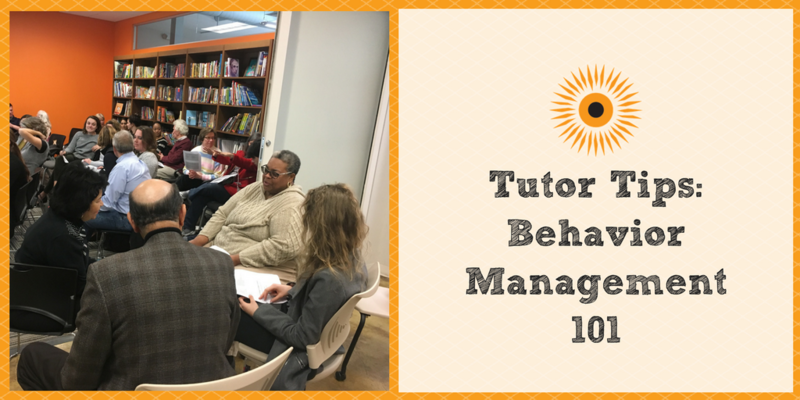 This week we’re covering concrete strategies that tutors can use to best interact with students and prime the brain for learning! 1. Make an emotional connection to your student. As we talked about in part one of this series, creating an emotional connection to and spending time with your student can actually rewire the brain. One of the best ways to create connections and prime the brain is to use stories. Everyone loves stories, as they follow a certain set patterns and create emotional connections. Don’t be afraid to be afraid to tell stories about your own life and be transparent with the students you’re working with – your challenges, your life, your celebrations. Before the hour starts, have your student clear their mind – write or draw out what happened to them that day. Give them the choice to share, if they want, or they can throw it away. 3. Take an interest in your student. Find out what your student is interested in (favorite sport, book, TV show, music artist). We all do better when we are interested in something and can relate to it – try to weave that into whatever you’re working on or create word problems with their name. Once you find out what your student is interested in or what they’re passionate about, do some homework for your student – learn more about it yourself so that you can talk to them! 4. Feelings are important – and how you react is too. We all have feelings. Many times, our students have a hard time with them because they simply don’t have the vocabulary to accurately express how they feel, or they’re uncomfortable saying them out loud. Empower students to control and express their emotions. Give them alternate ways to express the 5 emotions – anger, joy, fear, sadness and disgust. Check out this short clip from the workshop where Lori covers how to sign the 5 emotions in ASL! Tell them about the 90 second rule – our brains get rid of negative emotions in 90 seconds! This helps them realize that they ARE in control of how they feel! 5. Do something different – the brain loves novelty. A lot of times at tutoring (and in life), we get caught up into doing the same things over and over. Instead, mix it up! Do something different! Every new experience helps the brain create new connections. If your student needs to learn something really important, have them stand up and hold a pose – research shows that this helps with recall. 6. More than anything else, focus on positivity. Every session, even if the student is having a really hard time, notice something that’s going right or well with the student during the session. Feeling like we matter and that someone understands us causes an “upshift” in the brain and opens the prefrontal cortex. Make this connection more concrete and permanent by writing your student an affirming note at the end of the tutoring hour. THANK THEM for showing up, even if they had a rough day! 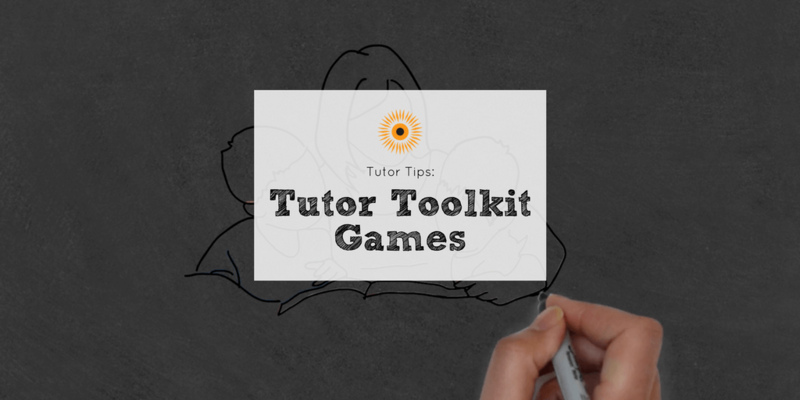 Some of these tips may seem like they are geared toward creating a longer-term relationship with students, which we know is just not possible at some of our tutoring locations. Our kids can be very transient, especially at emergency shelter locations, and we know our tutors can’t always work with the same student every week. Don’t worry though! We know this can be challenging, but according to Lori, our tutors actually have an advantage working with a new student every week! When working with a brand new student each week, you have a new chance and a clean slate with that student. And you always have the opportunity to make a positive impact on that child’s day. 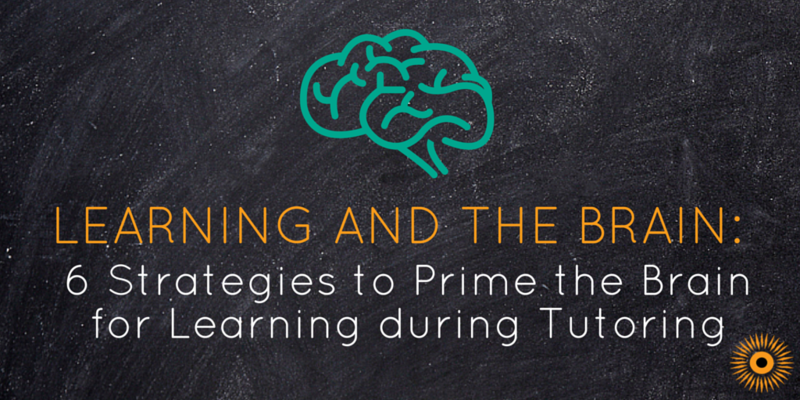 We learned SO MUCH from Lori about ways to help prime our students’ brains for learning at her workshop – and we hope you did too from this blog post! Want to learn more? Make sure to check out last week’s blog post where we talked about 5 facts we learned about the effects of stress on the brain!